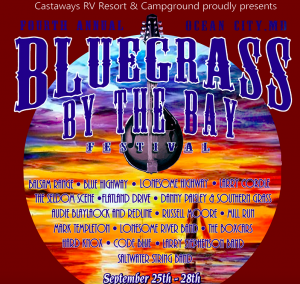 Once again, Castaways RV Resort in OC MD hosted this four day event for Bluegrass Lovers. An off season event designed to bring campers to the resort, it has become a “Must Attend,” event for fans. Congrats to all at Castaways for a stellar event! Started by Kathleen Walsh, of AOS in 2001, this event has grown to be THE premier Bluegrass event on the east coast.